Electro WOW ► Electronic Music News: Dangerous Superman Pills Are Circulating In UK Clubs! 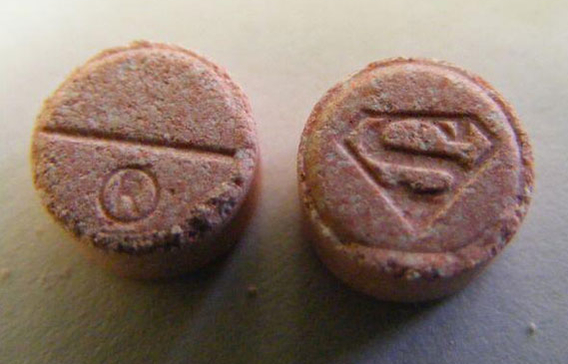 Dangerous Superman Pills Are Circulating In UK Clubs! Police in UK have issued a warning over pink Superman pills currently in circulation at clubs! They say that tests have shown that the pills contain PMA (or methoxyamphetamine), a chemical similar to ecstasy but more toxic. Pills containing PMA have lead to a spate of deaths among ravers and clubbers. Victims suffer intense over-heating, become panicky, speak quickly and incomprehensibly, convulse, and die. Please, remember that life is beautiful with music, so there's no need to put your life at risk with stupid drugs. Below you can watch this cool vintage 80's cartoon of Superman, entitled "SAY NO TO DRUGS!" Chuck DeMonte Releases New Single "Say What"